It is necessary that psychologists and therapists who work with First Nations, Inuit, and Residential School survivors and their families have special training and experience. Treatment must be respectful of the beliefs and traditions the client brings to the sessions. Healing comes through being listened to and heard. Each First Nations, Inuit, or Residential School survivor may bring their own story of abuse, neglect, addition, family breakdown, and potential negative Child Welfare involvement. Treatment begins by giving honour to the story brought into session, and working together towards healing. First Nations people hold a unique position in Canada. Although they are the oldest culture in Canada they have historically been marginalized and isolated by various immigrant groups since the 'discovery' or 'colonization' of Canada beginning the mid-16th century. The dismantling, or taking apart of traditional native practices resulted in significant harm both to the general First Nations community, but also to its individual members. In 1867, legislation imposed the mandatory attendance of native children at residential schools. Approximately 150 000 or about 30% of all aboriginal children, were removed from their families, communities, and culture by 6 years of age. Compulsory Indian Residential School attendance ended in 1948, although the last residential school did not close until 1996. The effect of residential schools continues today. Because children living in the residential schools (often not allowed contact with family and friends for months or even years) were not raised in family settings, they did not receive the fundamental teachings on how to parent, how to problem solve in community, or how to deal with emotions in a healthy manner. Many of the children who grew up in the residential schools were abused, neglected, or otherwise traumatized. The outcome was multiple generations of teens and young adults who were returned to their homes with psychological damage and were disconnected from their culture, family, and traditional supports. Modeled after the Truth and Reconciliation programs of South Africa following the collapse of apartheid, Canada underwent a nation wide consultation process during the 2000-2015 years. 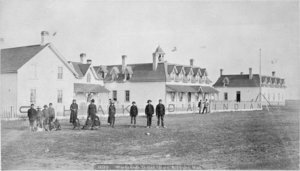 Many First Nations people had opportunities to tell their stories, and the stories of their friends and relatives who had experienced Residential Schools, or who had experienced the outcome of being raised in families with disrupted parenting styles and psychological damage due to Residential Schooling. From this process many individuals were granted financial compensation. It was also recognized that the damage done to First Nations would not be easily solved with a cheque or an apology. Many indigenous people continue to struggle with the outcome of marginalization, discrimination, Residential Schools, and disrupted communities. We offer a safe, confidential, and accepting environment. Our clinicians have extensive experience working with First Nations people on Reserves, in schools, and in various community settings. We are open to working with Elders and traditional therapies according to our client's requests (sadly we cannot offer smudging in our offices due to allergies). Our therapists have extensive training and experience treating trauma, domestic violence, drug and alcohol substance abuse / addictions, and communication difficulties. We have additional specializations in helping with parenting in general, and challenging children. Lisa has direct insight into the impact of Residential Schools on mental wellbeing, both of direct survivors and children/grandchildren of survivors, along with being an expert in treating addictions. Samuel has advanced training in treating the many different kinds of self medicating approaches residential school survivors, and those impacted by residential school survivors, often use to try to deal with the experience. Residential school survivors often are left with weak parenting skills. Karin is one of the few psychologists in Edmonton trained in helping parents of hard to manage preschoolers (children with multiple behavior or psychological difficulties ages 0-5 years), while Stephanie has worked in some of the most intensive treatment programs for parenting school aged children and teenagers.